When you’re already at one of the biggest comics conventions in the world, you know that cosplayers will raise the bar with their costumes. But every Nightcrawler on the floor owes a debt to Dave Cockrum for giving them that perfect look. Every Spidey needs a Ditko. Translation: Every cosplayer should bow their heads to the artist that gave their favorite heroes their definitive aesthetic. So, Ford sent its ten Fiesta agents to Comic Con to not only find the best cosplayers, but also the finest art on the floor. Here's some of the beautiful work up-and-coming and veteran artists showcased at NYCC 2013. 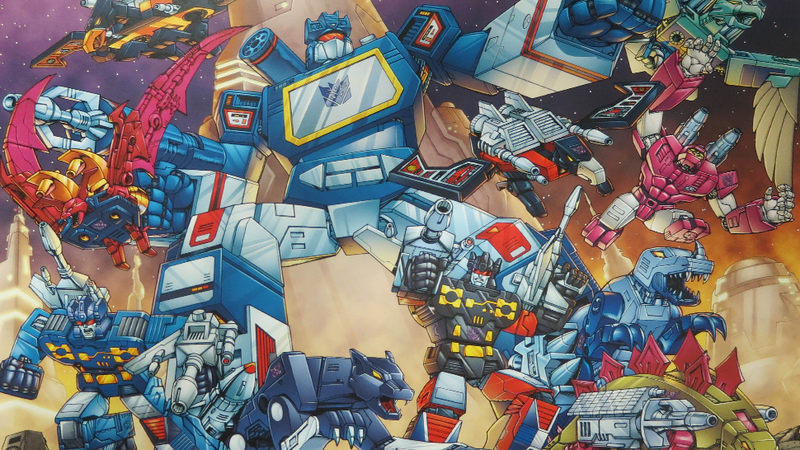 Up top is the work of Dan Khanna, a freelance artist with a love for Transformers. Dan started as a fan artist, but, as his notoriety grew, Hasbro finally took notice. Today, he works on Transformers comics for IDW and Titan. Dmitri Drjuchin is a prolific street artist and poster designer. Specializing in the surreal and offbeat, you might recognize his style in the "Tom Selleck Saved My Baby" posters that were plastered around Nolita a few years back. If not, now you know. Sure Shot is the brainchild of Tramp Daly and Starlight Studio. It attempts to blend anime with hip-hop style, and tells the story of a group of young rappers battling it out with old-school emcees for recognition. Dario Brizuela is a veteran comic artist, having worked on Green Lantern: The Animated Series, Justice League Unlimited, Transformed: Animated, and Tales of the TMNT. His style is unmistakable, and he's definitely a fan favorite. Brahm Revel is the writer and artist behind Guerillas, a story that follows a troupe of battle-hardened chimps during the Vietnam War. He's also heading up Marvel Knights: X-Men next month. His absurdist, pulpy style has him on our up-and-coming list. Drew Morrison is a freelance artist with a diverse repertoire, having done illustrations for editorial and advertising firms, along with drawings for his own amusement. He also recently did a Kickstarter-backed painting series called ENTRIPPY. And he, like so many of us, really misses Breaking Bad. Six-Gun Gorilla holds the distinction of being one of the hundreds of pulp heroes that exists in the public domain. Here, horror illustrator Wes Huffor takes his pencils to the time-worn character and makes him fit to fight beside John McLane. Laura Lee Gulledge is the author and illustrator behind Page by Paige, which was nominated for both the Eisner and Harvey awards (it's that good). She takes the same elegant, thoughtful approach to her most recent graphic novel, Will & Whit. She's the kind of talent that plays with the medium more than the average comic artist, and she definitely deserves the acclaim. In the end, art and artists are the lifeblood of comics. Now you have proof of the kind of creativity that fuels one of our favorite industries. Wanna see more? Click here to check out all the creative things the Fiesta Movement is doing. Kwame Opam is the Tech Content Producer with the Studio@Gawker.